It’s important to have rollers that are in good working condition. When you first bought your home, your garage door opened and shut easily and smoothly. Over the years, though, it’s started to stick more and more. When you inspect it, you notice that one or more of the rollers are looking worn down and out of round. It’s likely time to call Garage Door Pro for our garage roller replacement services. 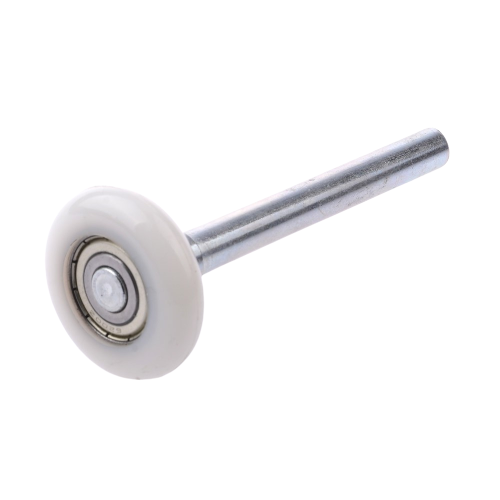 Your garage door rollers allow your garage door to move smoothly along its tracks as it opens and closes. Whether you are using a garage opener or you are manually lifting and lowering your garage door, it’s important to have rollers that are in good working condition. If they’re not, every time you lift and lower your door, you’ll be putting more stress on your garage door’s springs, tracks, and other components, as well as your garage door opener’s engine. This can lead to parts wearing out faster, which can result in otherwise unnecessary repairs and garage door maintenance. If your garage door isn’t functioning properly, you may be putting off calling the experts because you fear that your garage door repairs and/or garage roller replacement will be expensive. Unfortunately, this is not the kind of problem that goes away on its own, but it may be simpler, easier, and less expensive than you anticipate, especially if you call us at Garage Door Pro for garage roller replacement today. Plus, if you are concerned about costs, we offer a number of discounts and promotional pricing for military, firefighters, teachers, students, and senior citizens. To learn more about garage roller replacement and to find out how we can help you, call us at Garage Door Pro today. We will be happy to help you understand all of you options and to find a solution that fits your needs and your budget. Want to learn more about our Garage Roller Replacement services?